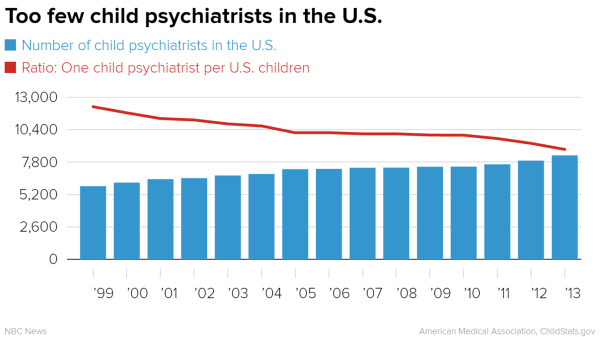 Maybe We Have Too Many Child Psychiatrists? If child psychiatrists spend their time prescribing medication, and if foster children are over medicated, then it stands to reason that child psychiatrists are exacerbating the problem and then the so-called shortage of child psychiatrists, might, in fact, be a good thing. 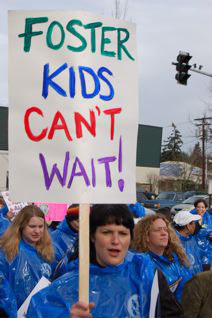 It is true that foster children are not only treated by child psychiatrists, as these medications may be prescribed by pediatricians, neurologists, primary care physicians or nurse practitioners, it is still true, that if child psychiatrists stop prescribing these medications, then these other providers would not feel comfortable prescribing them. The use of these medications for behavioral management is simply inhumane because of the metabolic and cognitive side effects. There, I have said it again, as I will again, as this has got to stop. The mantra that there are not enough child psychiatrists in the US, as stated above, comes from the American Academy of Child and Adolescent Psychiatry. A group that I respect and often attend their professional meetings. Yet, I question this assertion. Child Psychiatrists, by and large, prescribe medication, and as such, they help some children, while, at the same time, they, as a profession, are guilty of over-prescribing medication to children who could benefit more from behavioral and/or psychological interventions. So, it is not clear to me that the problem is physician supply, but rather I see the problem as the need to re-define the job of the child psychiatrist. If the child psychiatrist were in charge of systems of care for children, we would not need more child psychiatrists, but rather we would need to change the training of child psychiatrists to include leadership skills to improve the health and welfare of children and their families. If we do not train child psychiatrists to take the aerial view of the profession, and we continue to train them to take a piecemeal view of children, then training more child psychiatrists will not help. We need to learn how to be thought leaders, and as such, we need to learn how to execute our ideas into a major overhaul of mental health for children which includes wellness centers, home visits, and family interventions. Medication can be a piece of this, but, it is only one of many pieces. This is the message that we need to get out to policy makers. Incentivizing child psychiatry by loan repayment programs or higher salaries are not the answer. The field needs to change its focus. There, I have said it again. White privilege, in academic measures, leads to higher school performance than minority children, creating, what experts call the “achievement gap.” Although many factors contribute to this gap, the increase in stressors, be it poverty, domestic violence, childhood neglect and abuse, make it difficult for children to learn, and to have a supportive learning environment. Further, minorities tend to go to schools with fewer resources to support their education. Given that, what is the role of the child psychiatrist? How can he/she advocate for these kids? Providing mental health care at these schools is one answer. If these schools were staffed with mental health professionals who were trained to help children cope with their environments, could their school performance improve? I bet so, but studies are needed to prove this hypothesis. Plus, what about the funding? Well, if we assume that kids with lower achievement are more likely to drop out, and therefore have fewer employment opportunities, and be more likely to end up in the correctional system, then keeping these kids in school could pay off in the long run. My solution: have every parent sign a consent for mental health treatment, at school, if the need arises and is deemed necessary by school personnel. That way, as soon as symptoms are identified, intervention could be immediate. There, I have solved the problem. Of course not, but I think that is a good first step. Mothers need to separate from daughters. Daughters need to separate from mothers. Each yearns for a close relationship, and yet, there needs to be a separation before there can be a closeness, as each needs their own identity. Like a figure eight, there are times when their lives are intertwined, and other times when their lives are far apart and so the dynamic, the journey of their relationship, is hardly ever linear. Issues of rivalry, control, and independence, come in and out of the foreground as each party struggles with her own sense of being in the world. Lila and Zoe come to mind. Lila is a thirty-two year old female, insecure, and confused about her future. Zoe is a sixty-year old female, cancer survivor, retired school teacher, who is happily married to Lila’s father, but who feels that Lila needs her help to navigate her future. Lila has mixed feelings. She wants her mother’s help, her guidance, her advice, but at the same time, when she talks to her mother she is left feeling helpless and inadequate. “Why do you seek your mom’s advice?” I ask Lila, knowing that the answer is layered with conflicting feeling, but hoping to begin a dialogue about these issues. Lila understands that talking to her mother dents her self-esteem, but she also feels she has “no choice” because her mother often has “good ideas”. “You have good ideas too,” I say, hoping that Lila can come to understand that her brain is a good resource for her, if she could allow herself access to her own thoughts. Lila struggles, as if she does not quite believe me that she has the capacity to make good decisions for herself. Our work continues, slowly, with the hope that Lila can learn to trust herself. This will allow Lila to have more self-confidence, and ultimately a more adult relationship with Zoe. The figure eight of their dance continues, now at the intersection, but working towards a separation leading to another coming together, but the figure eight is three-dimensional such that their next connection will be at a higher level. What happens when the provider does not care any more? Is this shameful? Unspeakable? Is it a problem of the health care delivery system or an inherent issue with the helping profession? Does it stem from a deep question of efficacy or simply fatigue and poor self-care? How do providers discuss this without feeling judged? After all, “I want to help people” becomes a mantra for admission into a caring profession. To think, not even to say, that there is a strong tug to not want to help, to do something else, or think about something else, is akin to a massive betrayal, a betrayal to oneself, perhaps, but a feeling of betrayal nevertheless. And so, at times, begins provider substance abuse. Saying “I have a problem with addiction” is more favorable than saying “I don’t want to keep doing what I am doing because I simply do not care.” Lucy, thirty-two, comes to mind. She worked hard in her private élite high school to go to her private élite college and then to her private élite medical school and then to her high-prestige psychiatry residency. She graduates with massive debt, and scores a high-paying job, prescribing medication to patients in rapid fire. At first, she is happy with her new-found income, and hope of paying down her loans, but as time goes on, as days begin to feel longer, and weeks unending, and Sunday nights, simply dreadful, she finds herself unhappy and unable to be honest about it, with herself. She begins to take pain pills, as her chronic back pain, seems worse, perhaps because she sits all day, and perhaps because her mood is so low, that every ache in her body is accentuated. At first she functions at work, taking opiates, but as time goes on, she needs more and more pills to function, and eventually she starts missing work, culminating in her admitting that she has an opiate addiction, but not admitting that she finds no, or little satisfaction in her job. She welcomes the opportunity to go to a rehabilitation facility, and she welcomes the break from her friends, her job, and her responsibilities. She is a model rehab patient. She is thoughtful and participatory. She feels the rehab has saved her life and she is grateful for the experiences. She is discharged from the rehab after sixty days, and she returns to work, and within days, her opiate use returns. Once again, my point is simple. Lucy does not have a problem with opiates, but rather, she has a problem dealing with authenticity, and as such, opiates provide a clean escape from her fraudulent self. Facing the satisfactions and disappointments in her life, in her choices, in her daily routines, is nearly impossible for Lucy. It is much easier for Lucy to look externally and say the problem is the opiate, and not with the way she has set up her life. Addiction treatment programs, in collusion with Lucy, propel this forward. Rather than promoting long-term, continuous care, there is an emphasis on relatively short-term care, which often becomes a revolving door, with changing treatment teams. As such, there is burn-out in the staff, making it even harder for health-care professional patients, to face their own burn-out. To combat the issue, the values need to change. Placing a value on truth, self-truth, puts all feelings and ideas as fair game, no matter how bad they might sound. This is what Freud taught us. Speak first, no matter how difficult that might be, and then work with your thoughts and feelings after that. This is his notion of “free association”. With this freedom comes a personal truth which leads, as he would say, to the ability to love and work. With those abilities, no escape is necessary. Lucy could be set free from her trapped existence. 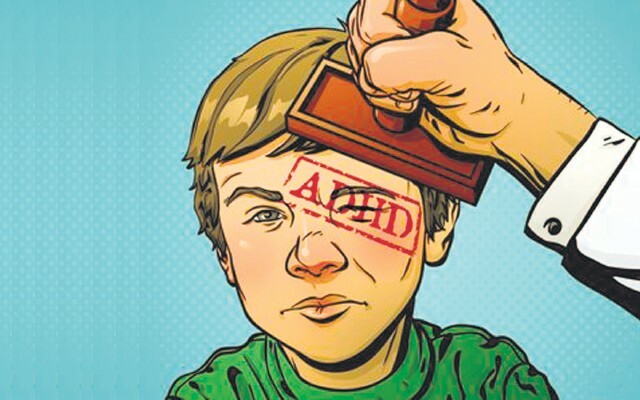 ADHD can look like PTSD, or in the new language, a result of ACEs (adverse childhood events), in that the lack of focus could be a result of traumatic experiences interfering with the ability to concentrate. Understanding the child in context can help discern the various factors which contribute to difficult or disruptive behaviors. I am just not sure why this needs to be said, as it is inherently obvious. Yet, in lecture after lecture, that I go to, given by people with impressive degrees, I hear this as a take-away point, as if the audience does not know this. Without understanding the child’s environment, the speaker said, you can make the wrong diagnosis. Duh, was my private thought, while I was stuck on whether the speaker thought she was being profound or if she thought that her audience was so clueless that she had to state the obvious. Every child, every patient needs to be seen in the broader context of their family, social and academic environments. In today’s day of assembly-line medicine, perhaps this does need to be said. I close with a common refrain of mine. Sad, sad, sad. 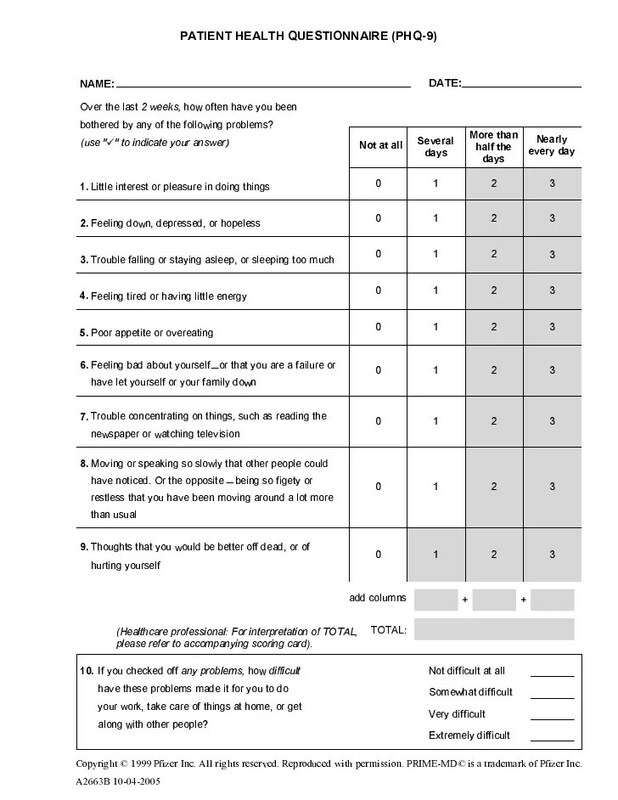 I am dreaming of consulting to a high school wellness center where students are free to talk about their experiences, and concerning behaviors of self-injury, substance abuse, poor relationship choices can be discussed in a context of caring and concern, with a relatively low threshold to suggest psychotropic medication. In essence a place for teenagers to feel listened to, as a way to value listening as a healing art. This imaginary wellness center would be staffed by one psychiatrists, two psychotherapists, one yoga teacher, and parent and peer volunteers who want to help students who have found a bump in their road to adulthood. There would be couches, and ping-pong tables, and quiet spaces, and music areas, along with arts and crafts supplies and quiet confidential areas to talk in private. This would be part community center, part health club, part mental health clinic. Students would not be forced to go, but rather learn about this as an option, in case the “stress” ever gets to them. Students with school refusal could relax at the Wellness Center until he/she was comfortable migrating to the classroom. Clubs, or support groups, might form for students whose parents are getting divorced, or who are dealing with a loved one who is sick and/or dying. There might be periodic talks on mental health issues, such as “Thinking About Depression in Teens” or “Sports Supplements: Are they good for you?” My contention is that a Wellness Center on Campus will diminish the need for students to go on psychotropic medication and it will limit the number of students who need psychiatric hospitalization for self-injurious or suicidal behaviors. Where does the money come from, speaking from my imagination? The money comes from the school district, health insurance companies, and private donations. Who runs the place? A child psychiatrist, of course. Am I looking for a new gig? Maybe. Valued based care: more language to describe the changing health care delivery system. Doctors are not going to be paid per visit, but rather per clinical improvement obtained. In the primary care world that means the more patients who have controlled Diabetes, the more money the doctor will see. In the mental health world, that means that the lower the patient’s score of the PHQ-9, the more money the doctor makes. The doctor now has a huge incentive to encourage the patient to tilt the score positive, thereby diminishing the trust of a deep relationship which allows for patients to be honest about how they are feeling, whatever that may be. Once again, I am taken back to my training, where the value was in acceptance and tolerance of deep and difficult feelings, as opposed to the antithetical notion in which we encourage a more shallow approach to patient care. The need for measurement in primary care makes sense; numbers tell the story. Yet, in mental health, there should be no numbers, no quantifiable approach to disease or disease management. Mental health is the acceptance of many layers of feelings which float around in a stew in which the dominant flavor keeps changing, as we are sentient beings. This is obvious on one level, but in the health care world, this obvious point is lost. Sad, sad, sad. My Course Proposal…I am open to suggestions..thanks..
How patients integrate events into their lives, on a deep psychological level is fascinating and psychoanalytically rich. One person’s motor vehicle accident is a small matter, whereas the same intensity motor vehicle accident to another person is a major catastrophe. Understanding the differences in how people interpret their worlds is the fascinating work of using psychoanalytic thinking in a therapeutic setting. This class will examine how people have both conscious and unconscious meaning associated with their lives and as such, they react in ways which both make sense to them and, at the same time, confuses them. As these layers of meaning are uncovered, a therapeutic conversation ensues which enriches the patient’s understanding of himself, and thereby creates a calmness which allows them to get in touch with creative juices and along with that a deeper sense of vitality. They experience psychological freedom which is liberating in ways they could not have imagined before they entered deep, or intensive psychotherapy. 1. The student will learn how to probe for conscious and unconscious meaning in a patient’s presenting complaint. 3. The student will learn how stimulating thought in the patient, helping the patient to be curious about themselves, produces therapeutic gain.